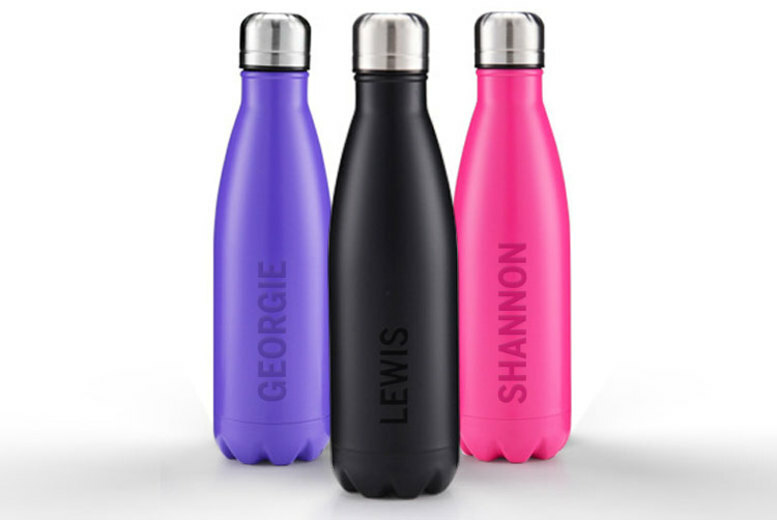 Personalised Insulated Stainless Steel Water Bottle – 10 Colours! Stay hydrated with a stainless steel water bottle. Designed to keep hot drinks hot and cool drinks cool. Available in 10 stylish colours (see below). Personalised with the name of your choice*. Measures 6.5 x 6.5 x 26.4cm.